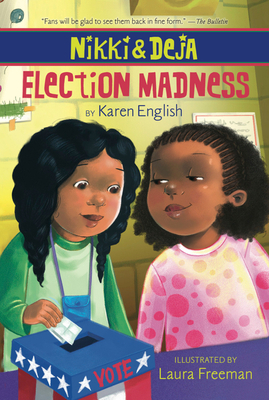 When the students in Nikki and Deja’s class find out that their school is going to hold its first-ever election for student body president, some kids are more excited than others. But none is as excited as Deja, who figures she’s a shoo-in for the third grade nomination. Deja decides that Nikki will be her campaign manager, of course, and puts her to work right away. But will Deja’s tendency to rush into things and boss people around alienate her best friend when she needs her most, and spoil her chances of becoming president of Carver Elementary? This is a charming new entry in a chapter book series praised for its humor and authentic characters. "New readers can happily meet the girls for the first time here and then go back to fill in the picture, while fans will be glad to see them back in fine form."